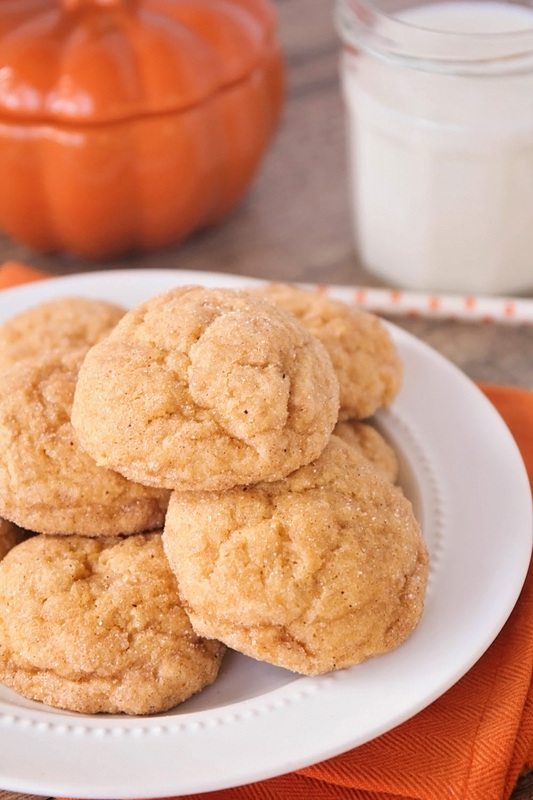 Soft pumpkin snickerdoodles - these soft and tender cookies are full of fall flavor and so delicious! Two cookie recipes in a row? I know, how indulgent of me! Normally I try to space the desserts out at least a little, but this one was too good to wait. 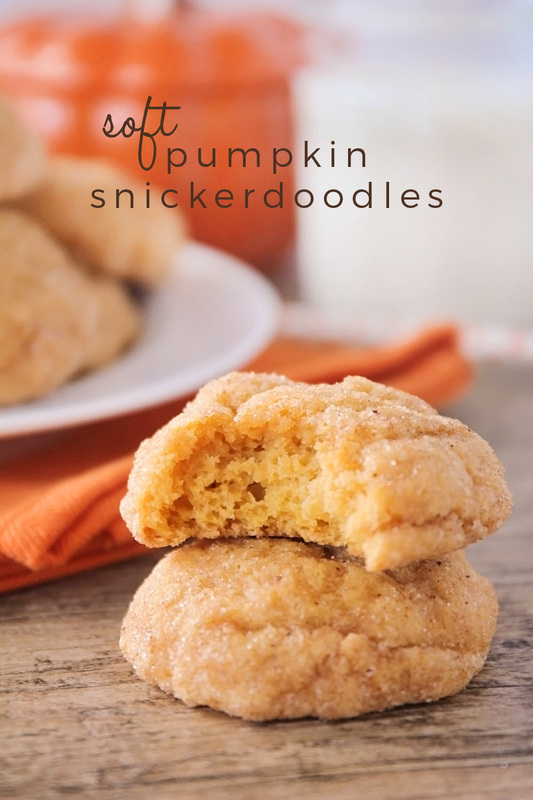 I've mentioned before that snickerdoodles are some of my very favorite cookies, and considering the season, it was high time I came up with a pumpkin spice version. 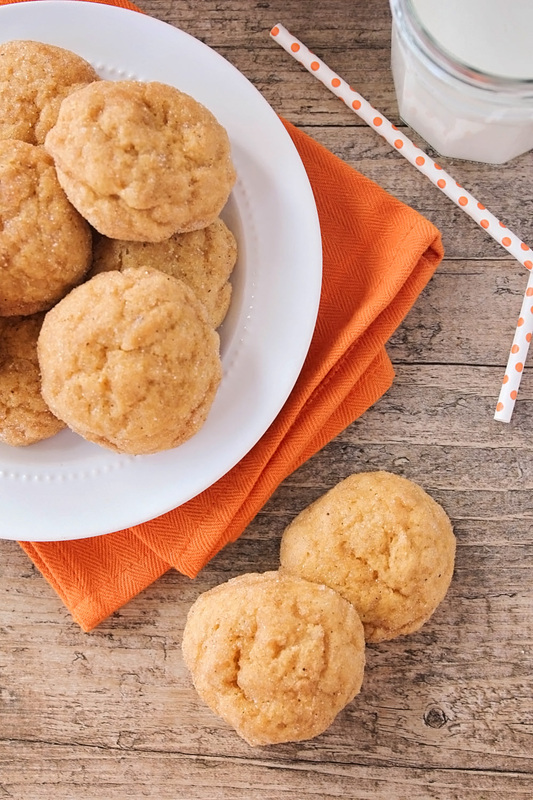 These soft pumpkin snickerdoodles are a delicious cross between those fat pumpkin cookies you can buy at the grocery store this time of year, and my favorite snickerdoodle recipe. They're just slightly crisp around the edges, have a lovely sprinkle of pumpkin pie spiced sugar on top, and are just the thing for cold nights with a warm cup of cocoa. I should warn you, though, they are totally addicting! In a large bowl or the bowl of a stand mixer, beat together the butter and sugars until light and fluffy. Add the egg, pumpkin, and vanilla and beat until smooth. Add the flour, salt, baking soda, and cream of tartar, and mix until combined. Chill the dough in the refrigerator for 30 minutes. Toward the end of the chilling time, preheat the oven to 300. Line two baking sheets with parchment or silicone liners. In a small bowl, whisk together the sugar and pumpkin pie spice. Roll the dough into 1 inch balls, then roll each ball in the spiced sugar. Place one inch apart on the prepared baking sheets. Bake 13-15 minutes, or until just golden on the bottom. Remove from oven and let cool for a few minutes before removing to a cooling rack. Enjoy!